It's time to pop that VR headset back on, because we're at it again with another edition of Field of view, our weekly roundup of VR and AR news and recommendations. This week on the site, we spoke to Merge about whether VR is truly dead and gone. That's not all that happened this week though. 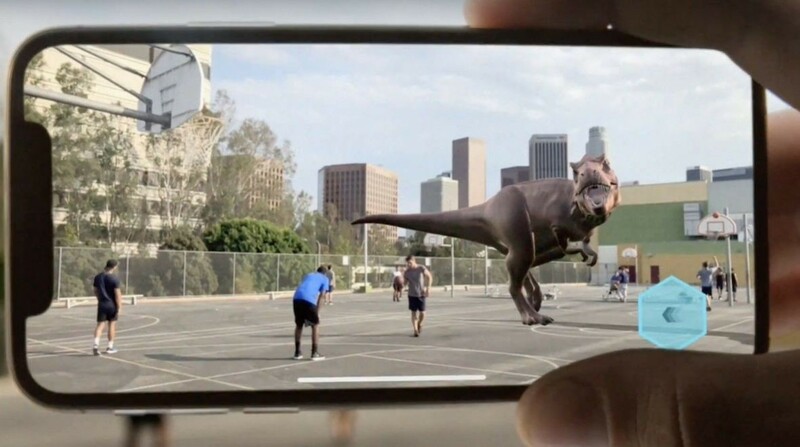 There was also news tht Apple secretly met with AR suppliers at CES 2019. If you need to get your fill of news, you news hound you, you can also check out our dedicated news section. CES 2019 is long gone, but AppleInsider is out here reporting that Apple had more than half a dozen engineers and "key personnel" meeting with AR waveguide suppliers in secret meetings at CES 2019. The companies Apple met with include DigiLens, Lumus, Vuzix, WaveOptics and more. Waveguides are used in AR smartglasses to route graphical information from a processor to the display. Apple has done this for a couple of years now, appearing at big tech conferences and secretly meeting with AR suppliers about technology for its in-development pair of AR smartglasses. It's a little difficult to sense how far Apple is on this process. The fact that Apple is meeting with suppliers may mean that there's still some time to go before anything is ready to ship for consumers, but it's a good sign nonetheless. These kinds of meetings - at the very least - mean that Apple is still forging ahead. We're approaching two years without an update to Samsung's Gear VR mobile headset. It's unclear why, but one possibility is that Samsung is moving resources over to a more ambitious mobile headset, which could be hinted at in a new patent application uncovered by TechGenYZ. The patent outlines a new curved display to create an ultra-wide viewing angle while also maintaining a slimmer form factor. This would amount to a 180-degree field of view. It would also turn this curved display into a see-through display that would let you see through objects, likely an effort to also provide augmented reality. This is obviously very advanced stuff, and it's unlikely this is ready anytime soon. There has been some confusion over the Vive Cosmos, which HTC sold as a VR device that you could use at home and then on the go. But now it's made it's way through the FCC and we have some good, solid confirmation. UploadVR points out that the FCC reveals the only listed wireless frequency is 2.402-2.48 GHz with an ultra low 2.5mW power output. This happens to be identical to the frequency and power output used by the Vive and Vive Pro to communicate with its controllers. If this was wireless VR, it would have to use much more power. For the past couple of months, Disney has been showing off its first VR animated short, Cycles. That has apparently been going really well, as Disney has gone ahead and greenlit another VR project from Cycles' director, Jeff Gipson. If VR is going to be a lasting medium, it's going to need big companies to invest in apps, games and stories. Disney investing in more VR projects is a great step. Building a car is a long process that starts out with simple 2D sketches that are turned into 3D models for testing. But what if you could just build directly into 3D, saving you weeks of effort? That's what Ford is testing in a new partnership with Gravity Sketch. Five of Ford's design studios will let designers jump right into Gravity Sketch to build cars in VR to see if it's a feasible way to design and build. But if it is, it could save a whole lot of time and change the way cars are built. If you've ever been to the Globe Theatre in London, you know that Shakespeare's plays were designed to be immersive. You'd have actors show up in the crowds and then make their way to the stage. It felt like you were there. Commonwealth Shakespeare Club is using VR to try to get that feeling back with Hamlet 360. Although instead of being a part of the crowd, you're going to be cast as Hamlet's dead father. So you'll be seeing things from his perspective. It's a unique way to go about it, but be sure to set aside an hour to try it out.